The Master Program in International Business and Risk Engineering of the Steinbeis University Berlin is designed for graduates and young professionals who wish to develop their knowledge, skills and competences in the field of international business, advanced modern technologies with a product-life-cycle perspective, environmentally sound technologies, formulation and implementation of strategies of risk management as well as skills for understanding these approaches in the broader international and intercultural context of engineering science to cope with complexity of globalization and smart technologies. 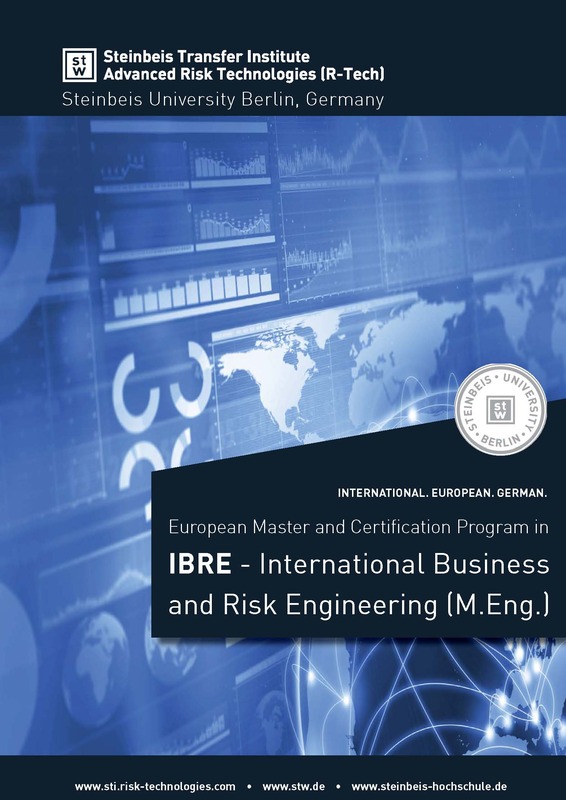 Career prospect for graduates of Master in International Business and Risk Engineering are above the average because of the increasing demand for risk professionals with technical and managerial skills, combined with past working experience and a strong network. Successful completion of this program is the ideal preparation for future management tasks and offers the possibility to continue with a doctorate. NOTE: This overview depicts the modules of the curriculum. A module encompasses several courses. For a more detailed description of the curriculum please download the booklet (click on the picture below). Applications to the Master’s programs are open throughout the whole year.